Hello hello this is my brand new category on this blog. The idea of weekly-shipping is suddenly popping up to my head while watching the latest Domino CF starring Kim Woo Bin and Go Ara, who are by the way the very first pair on this category. Watching these almost perfect creatures on the CF is raising my imagination of the two in a romantic comedy production. I mean look at those two! They’re perfect for each other in a drama, or in real life, whatever, I just want to see another production starred by these two. The story or concept of the CF itself also makes their fans (particularly me) imagines what if Ara is really a fan of Woo Bin and the two of them involve in a complicated yet sweet love story. 1. The typical Korean soap opera. The Prince and the Pauper. Kim Woo Bin is a chaebol and the only child, who has a cool and strong image. He never smile, always serious and a bit mean (which is fully supported by his strong jaw, beautiful eyebrows, and intense gaze). Kim Woo Bin’s principle is to be the best in everything he does. He is an ambitious businessman who wants his father’s company to dominate the media business. His father, by the way, is a media tycoon who gotten ill and lies in his bed during the early episodes (if it is a drama) or early scenes (if it is a movie). With his father’s condition, Woo Bin is urged to marry. However, married is the last thing came on his mind because what he want to pursue is only business. Go Ara is the exact opposite of Kim Woo Bin. She is a 20-something lady who works as a part-timer confetti-shooter. She never wants to have a permanent job due to her laziness. She always think that having a lot of part time jobs is better than having one permanent job because she can choose whether she want to work or not on that day. She is an orphan and lives with her mother’s best friend and her son. She is a secret admirer of her mother best friend’s son due to his charismatic appearance and how he always cares for her and treats her like a real lady. Little did she know is that the one who she idolize also develop a feeling for her. The story of Kim Woo Bin and Go Ara starts when Ara accidentally came out from Woo Bin’s car and considered to be his girlfriend. Woo Bin seizes the opportunity and ask Ara to be her fake girlfriend for a month until he reaches his goal to dominate media business. Woo Bin promise that he will give Ara money and everything she want. Ara agrees instantly. During their journey as fake couple, the two develop feeling for each other. In the meantime, Ara’s male roommate (her mother best friend’s son) confesses to her and Woo Bin’s first love came back from her study overseas. 2.The (almost) typical Korean soap operas. The Detective and the Reporter. In this plot, Kim Woo Bin will become a senior police detective while Go Ara will become a rookie reporter. 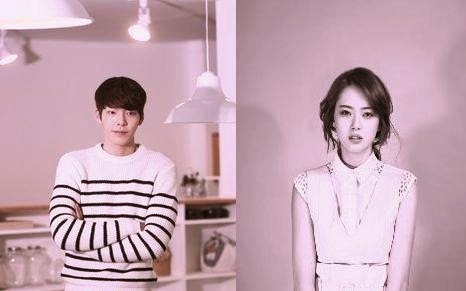 Kim Woo Bin and Go Ara met when Ara was assigned to post in police office where Woo Bin works. The two have history behind. Ara, who is a junior of Kim Woo Bin in high school used to admire and love him who known as one of popular boys in school. She always makes lunch for him, gives him chocolate every valentine day, gives him cold water when he’s tired after playing basketball, etc. 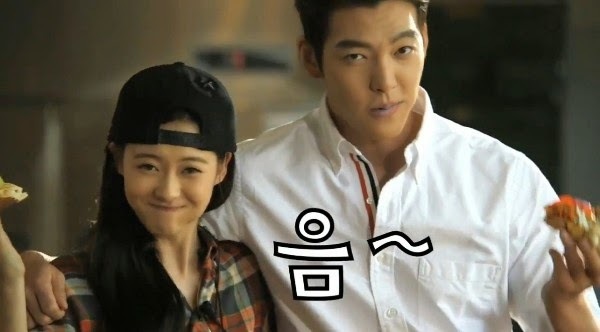 Kim Woo Bin who finds Ara attractive, receives Ara’s love and always takes her home after school. However, he never addresses their relationship. So, the two of them become what we called here in Indonesia as HTS (Hubungan Tanpa Status) or Unstated Relationship. At first Ara is ok with that because she likes Woo Bin’s kind attitude toward her, but after seeing Woo Bin does the same thing for the new girl in school, Ara’s jealousy is rising. She then asks Woo Bin about their status. Woo Bin answer that they’re only best friend who comforts each other. Ara went mad after hearing that. She then decided to leave Woo Bin and dating another popular boy in school. For the rest of the high school time, they become stranger to each other. But fate reunites these two almost perfect human again few years later. The two finds their meeting shocking. At first Ara hesitates to ask help or information from Woo Bin. But she has to do it if she wants to succeed in her career as a reporter. The two unites again. However this time the table has turned. Kim Woo Bin is developing his feeling to Ara who already has a boyfriend. Interestingly, her boyfriend is her high school boyfriend who also a friend of Woo Bin. Ara and Woo Bin once again get tangled in a complicated story of their relationship. 3.The (more or less) typical Korean soap operas. The clueless boy and superstition lady. Go Ara is portrayed as the sophisticated lady who dedicates her time for work and career. She is a diligent student. She graduates faster than the rest of her batch and immediately works in a prestigious company. However, she believes superstition and fortune-teller. She also believes that her destiny is out there. Meanwhile, Kim Woo Bin is a handsome fool boy who has yet to graduate and work as a part timer in cosmetic shop. One day a fortune-teller told Ara that she will meet a handsome tall man dress in pink that face is as perfect as Greek god who will become her destiny. Ara then went home while thinking about what that fortune-teller said. Then coincidentally Ara met Woo Bin who looks like exactly what the fortune-teller descripted. From that day, Ara starts to chase Woo Bin and convince him that he is her destiny. However, she’s a bit disappointed with Woo Bin status which is way far than what she expects her destiny would be. Ara then starts to help Woo Bin to graduate and rebirth him to become a gentleman. Well there you go. 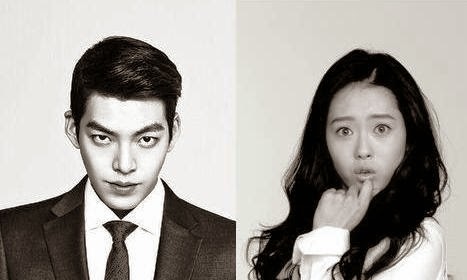 There are my plots for dramas or movie starred by Kim Woo Bin and Go Ara. I hope a scriptwriter will read this and my wish of seeing them in one drama or movie production will come true. Jebal!